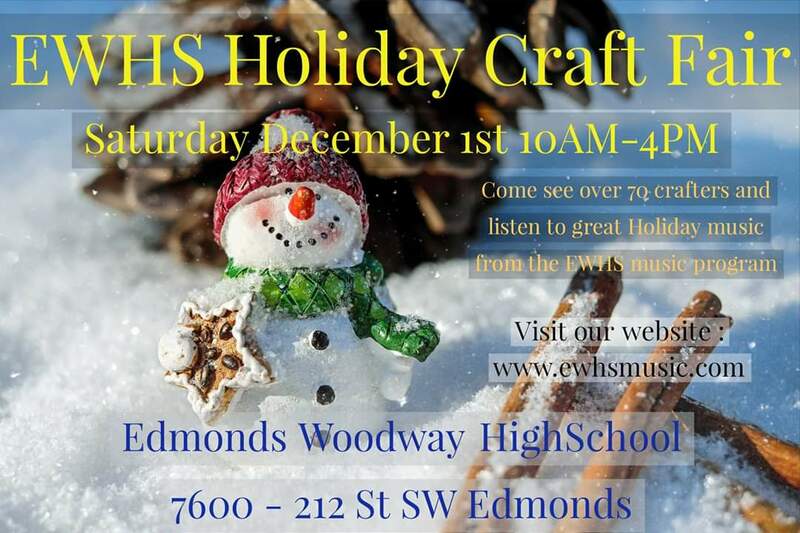 Just across the county line from Shoreline, Edmonds Woodway High School is holding a craft fair to benefit their music programs. It will be held at the high school at 7600 212th St SW in Edmonds on Saturday, December 1, 2018 from 10am to 4pm. Over 70 crafters and music from the EWHS music program.